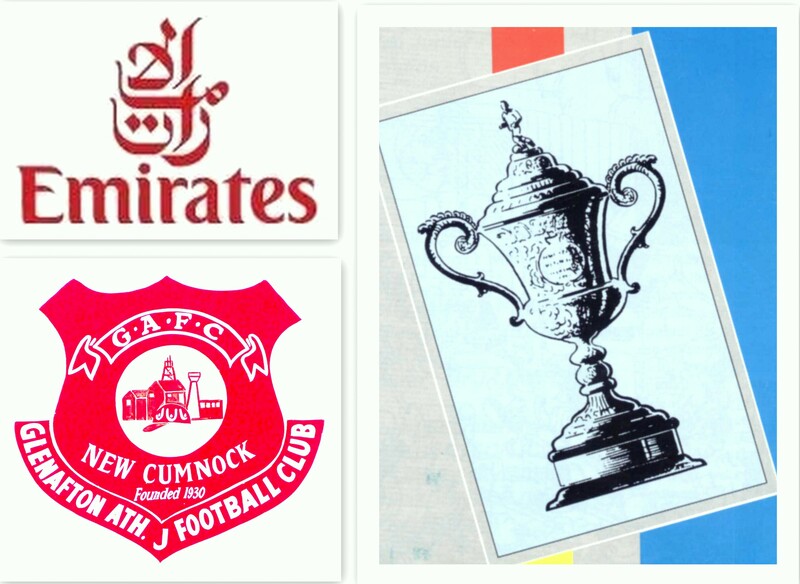 Glenafton Athletic travel to face Kilwinning Rangers on Saturday in the 4th round of the Emirates Scottish Junior Cup . The sides have faced each other five times in Junior football’s ‘Holy Grail’, three times at the 4th round stage. In this season’s competition both clubs received a bye into the second round where the Glens were drawn away to Newmains United. Due to concerns over the Newmains pitch being playable the tie was switched to Loch Park where the Glens eventually proved too strong for a stuffy hardworking United and ran out 5-0 winners with goals from former Buffs striker Ian Cashmore (2), Lewis Sloan, Craig McEwan and Gareth Campbell. The Buffs travelled to New Elgin and the match ended in a 2-2 draw with the visitors’ goals from former Glens players Michael Hart and Roland Fabiani. The pair each scored in the 3-1 replay with Ben Lewis scoring in between times. The Glens were drawn away to North Premier Division leaders Hermes in the 3rd round and took an early lead through Gareth Armstrong before the home side levelled from the spot soon after the break. An unfortunate own goal put the Glens ahead and then goals from Andy Bell and Paul Murphy sealed the tie. 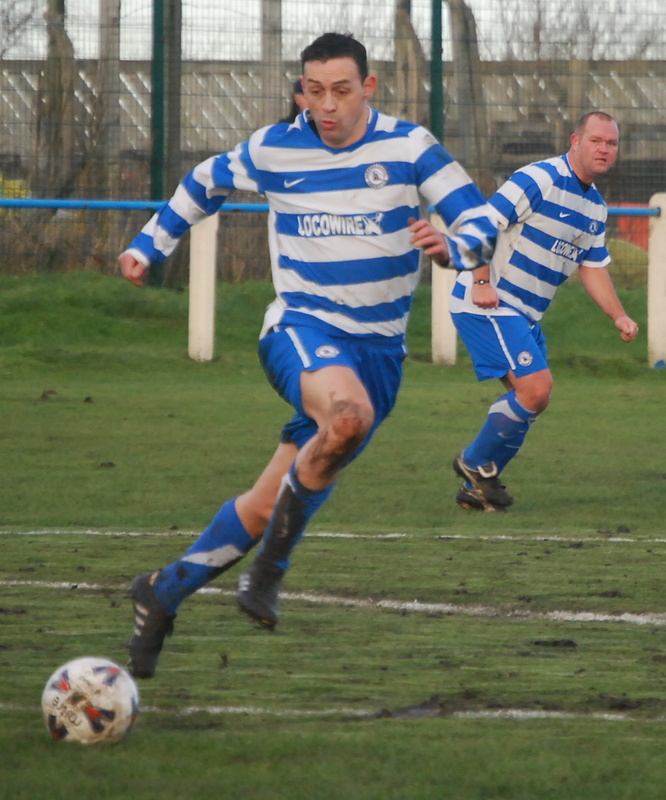 After three postponements Kilwinning’s 3rd round tie with Blantyre Vics got the go ahead. Experienced defender Neil Shearer put the Buffs two up at Abbey Park before Vics put a fly in the ointment and halved the deficit with twenty minutes to go. Any fears of a Blantyre fight back vanished after the visitors were reduced to 10 men and Roland Fabiani ‘steadied the Buffs’ with a killer third goal. Kilwinning Rangers hold the honour of being the first Ayrshire side to win the Scottish Junior Cup when in season 1908/09 they defeated Strathclyde 1-0 at Rugby Park after a goal-less draw at Shawfield; Dickson (no not Bobby!) scoring the winner for the Buffs. The parish of Kilwinning had two entrants that season the other being Kilwinning Eglinton, similarly the parish of New Cumnock had two entrants in the shape of Craigbank and Afton Thistle. Glenafton Athletic, formed in 1930, first met Kilwinning Rangers in the Scottish Cup in a 4th round tie at Kilwinning on New Year’s Day 1935, when both teams were strongly positioned in the race for the league championship with the New Cumnock side sitting top. 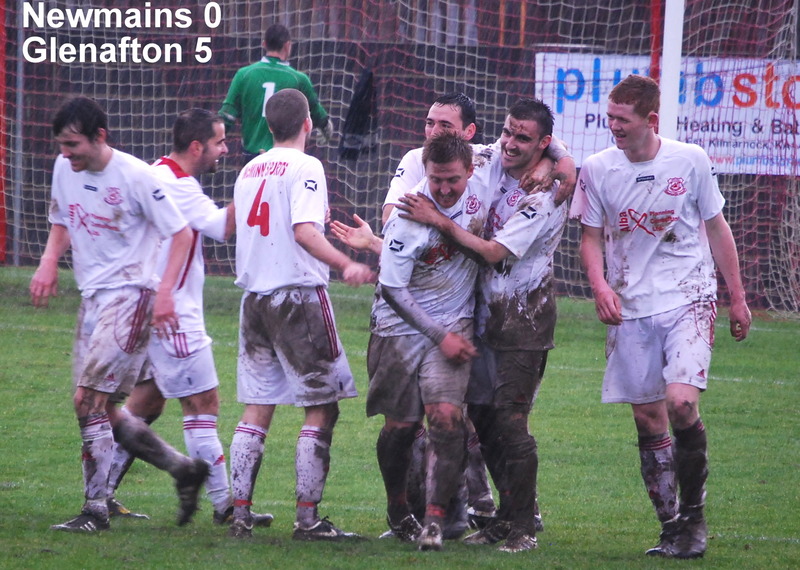 The home side raced to a 3-0 lead with a double from Jamieson and another from the deadly Dale. The dependable Brown reduced the deficit from m the penalty spot before Thomson restored the Buffs’ three goal advantage. Irvine and Miller countered for the Glens to ensure a tense finish. The Buffs held on and marched on to be Ayrshire’s only representative in the 5th round but lost out to Brechin Victoria, while the Glens went on to win the league (with the Buffs 5 points behind in second place) to become the first ‘south Ayrshire side’ to win the Western League. More than a quarter of century passed before the two met again in the Scottish Junior Cup in season 1960/61 at Kilwinning. Glenafton had thrashed Auchinleck Talbot 6-1 in the 1st round in their first Scottish tie at their new home of Loch Park to set up the 2nd round clash with the Buffs. The Kilwinning side had home advantage but the visitors came out on top in a five goal thriller with McCulloch, Moffat and Wallace scoring the Glenafton goals. The clubs met in the Scottish no fewer than three times in the 1980s with the first at the 4th round stage in 1982/83 ending in a 5-3 win for the Glens at Kilwinning. In 1987/88, in the most one-sided of the encounters, the Glens triumphed in the 4th round, goals from Mauchlen, McCutcheon, Adams, Gardiner and Morgan returning a 5-1 victory at Loch Park, with Clinton scoring the visitors’ consolation. The following season the Glens hosted the Buffs in the 1st round and late goals from McGeachie and Billy Dalziel killed off Kilwinning. The 1990’s of course was a landmark decade for Glenafton in the Scottish Junior Cup reaching three finals in a row and lifting the ‘holy grail’ for the first time in the club’s history in 1993 at Firhill. A landmark decade for Kilwinning Rangers too, winning the Scottish (and almost everything else) in their centenary year of 1999, under the management of New Cumnockian and former Glenafton player Bobby Dickson – his father ‘Kilt’ on the Glens coaching staff that had taken the New Cumnock side to their first Scottish Junior Cup Final in 1963. This entry was posted in GAFC Fixture and tagged Emirates Scottish Junior Cup, Glenafton Athletic, Kilwinning Rangers, Scottish Junior Football. Bookmark the permalink.